Come hop, come dine, come relax and unwind at Hops for Homes, our annual community celebration! We’re celebrating our incredible volunteers – and raising money for our Kids First Family Shelter! It’s going to be a fantastic night of rock and soul with Petaluma’s hottest band, The Highway Poets – and if you’re lucky, you’ll take home one of our amazing raffle prizes or silent auction packages. Dinner comes courtesy of Anna B’s Kitchen with dessert by Three Twins Ice Cream and Petaluma Pie Company. Kids ten and under get in free and every kid is welcome at the Active 20-30 Club’s Kid’s Corner for games and crafts. Tickets are $35 in advance and $40 at the door. All proceeds support KFFS, so come on out , have a great time, and make a difference in the lives of our kids and families! See the full list of raffle prizes and auction items here. Monday nights, a mix of people fill our dining room. Some live in big, comfortable homes and make big, comfortable incomes; some sleep on bunkbeds in our dorm and earn little or nothing. All of them share the same goals: to remain sober and to live well and honorably, relying on each other and a higher power for support. 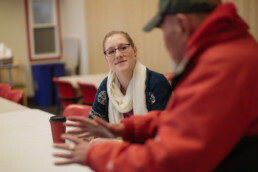 “Hank,” the group’s secretary says the location works for everyone—people like himself who are housed, working, and have years of sobriety under their belts, and people who live at the Mary Isaak Center, dealing with lots of uncertainty. “I always tell my sponsees, I’ve done time in correctional facilities. Anytime I wake up in a room where I can open the door, that’s a day to be grateful for,” Hank says. Alcoholics Anonymous also holds meeting at the Mary Isaak Center. We are grateful that the recovery community reaches out to COTS and our clients! He’d lost his father four years earlier. James was himself in intensive care at the time, after having been hit by a drunk driver. He didn’t get to see his dad before he died. “I was in a hospital in Novato and he was in a hospital in San Francisco. I went the bad way after that,” he says. While in the Marines, James suffered a sexual assault. Admitting victimization in the armed forces isn’t an easy thing today. But it was unthinkable in the 1980s. As a result of the trauma he couldn’t acknowledge, James’ on-the-job performance suffered. He left the service without an honorable discharge–and, therefore, without access to many of the services that could potentially help him. Last weekend at Vida Nueva, the Rohnert Park apartment complex where COTS provides supportive services to residents, we had a special event: the sun came out! 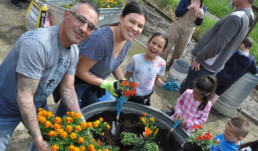 Seizing the moment, over a dozen volunteers from Discovery Church in Rohnert Park descended with shovels, gloves, soil and plants to make a special day even better. 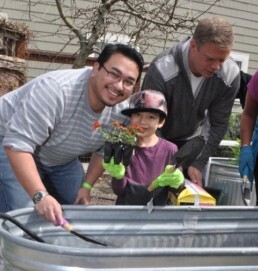 Together with residents, they planted fresh herbs that will turn home-cooked meals into home-cooked masterpieces. “The whole area is so beautiful now. 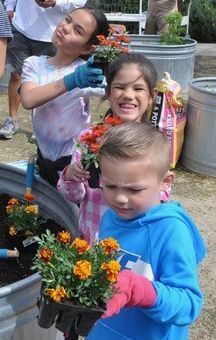 It’s a great place for people to enjoy a quiet, peaceful moment, and a great place for our kids to learn about plants,” says COTS’ on-site advocate Melissa Salini. This is not the church’s first trip to Vida. Volunteers have helped in variety of ways, including providing groceries for families to provide special holiday dinners. 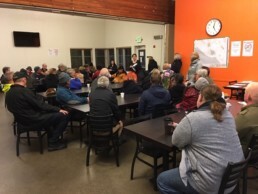 I would like to sit down and have a cup of coffee with you to share our progress in serving the homeless, and hear from you about what we could be doing differently or better. Until then, I’d like to share this Virtual Cup of Coffee: my new monthly communique about the business and mission moments of COTS – Committee On The Shelterless. In the Business portion, I will share the nuts and bolts of what we do to serve the homeless – our successes and our challenges. In the Mission Moment, I will share stories about our clients and our wonderful staff who make it all happen. 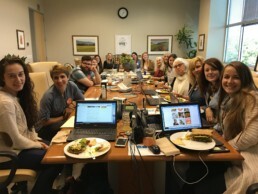 I hope you enjoy learning more about our work – and our vision to end homelessness in Sonoma County – here at COTS. As I’m out in the community building relationships, I am often asked “who is COTS collaborating with?” Our business of helping people who experience homelessness is complicated – by regulatory compliance and reporting, competition for funding, and increased community concern. To make a real impact on today’s homelessness crisis, we must collaborate with other homeless providers, government agencies, and community businesses. Why? There are many reasons, but let me share just two. 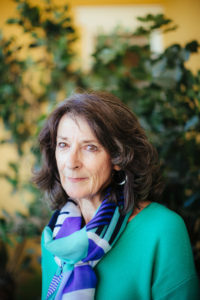 Self-awareness and expertise– COTS has been serving the homeless in Sonoma County for over thirty years, but new situations and a changing clientele require us to stay nimble and self-aware. A recent emergency situation in our shelter brought to light gaps in our processes. To help us navigate the situation, our experienced staff reached out to another homeless provider who shared their own shelter policies. We were able to use these ideas to review and grow COTS’ programs to better serve our staff and clients. 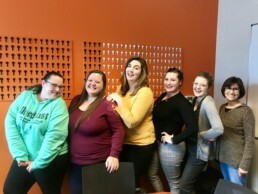 We then created a new position on our staff team to ensure that we have best practice policies and procedures in place across our organization. Collaborating allows us to learn and grow. 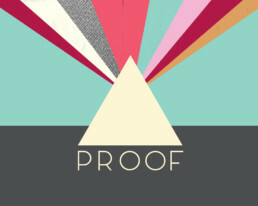 Seeing how others do things, especially if it’s in a non-related field or for-profit business, challenges us to emulate or aspire to their best practices, expertise, and capabilities. It can be easy to get trapped in our comfort zone – but looking beyond COTS’ walls forces us to reconsider how we do things and strive to always do better. Collaboration is just good business. 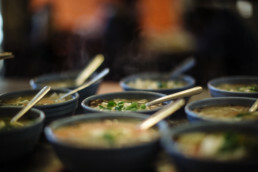 People experiencing homelessness get most of their meals in shelters and soup kitchens. 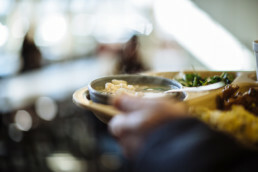 Because of limited financial resources and the availability of fresh fruits, vegetables, and lean proteins, much of what is served in shelters is low nutrient high calorie, starch, or fatty. Yet good nutrition is critical for the prevention of chronic diseases that many low-income people suffer from – heart disease, hypertension, cancer, diabetes. Undernutrition can also lead to decreased bone mass, impaired wound healing, and reduced cognitive functioning. For many, staying healthy or treating an illness takes a lower priority than staying safe and surviving on the streets. In Sonoma County, especially, people should never go hungry. At COTS, both our clients and any of our neighbors experiencing hunger are welcome for lunch. 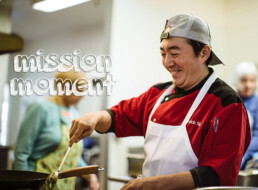 We are fortunate to have Chef Derrick Ng on staff, who takes his job of feeding those experiencing homelessness very seriously. Coupled with a community that generously donates fresh produce (and just about everything else) and a corps of dedicated volunteers who chop, sort, julienne and more, COTS is making a difference in the kitchen. Derrick grew up in Indonesia. He learned to cook watching his mom and others make traditional local cuisines. He moved to the U.S. in 2003 and worked a variety of jobs in the kitchen, finally owning his own restaurant. Derrick says that people eat first with their eyes and that good food makes people happy. Derrick and his team always have fresh green and fruit salads, a healthy protein entrée, vegetarian side dishes, a hot vegetable soup, and fresh dessert – all made from scratch. His food brings people together, whether homeless or not – and you see and feel it in the dining room. Derrick and his team welcome all donations especially those from your garden. Thank you Derrick, your wonderful staff, and our amazing team of COTS Kitchen Volunteers for making this all happen. Don’t forget to follow COTS on Facebook to see our daily menu and updates about our programs, services and success stories! I am delighted to introduce myself as the new Director of Development here at COTS. Since my husband, daughter and I moved to Petaluma last summer, I knew I wanted to immerse myself in the community and make a difference in peoples’ lives at an organization I felt passionate about. I absolutely found the right match at COTS, and I am thrilled for the opportunity to build our network of supporters to further COTS’ mission of ending homelessness in Sonoma County. I’ve been learning a lot in the last two weeks about our amazing staff, our deep range of programs, and the incredible strength and dedication of our COTS community. There is so much on the horizon here at COTS! I’m happy to share some of our news with you, and can’t wait find new ways of connecting in the months and years to come. Since the beginning of our fiscal year in July, we’ve helped 153 clients find housing through our Rapid Re-Housing program! March looks like it’s going to be an exciting month, so stay tuned for updates. But finding housing is of little value unless people have the financial and social resources to keep their housing. That’s why about half of our program staff members are dedicated to helping people secure housing while the other half provide the support people need to stay housed. Support can mean many things: rental assistance; job search and training resources; and help with budgeting and personal finance skills, securing child care, or navigating courts and bureaucracies. “I’m meeting people who have been homeless for so long they’ve lost all faith and hope in humanity,” Cecily Kagy says. 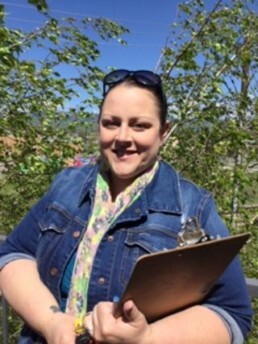 Cecily is our newest outreach worker, serving the community of Rohnert Park. 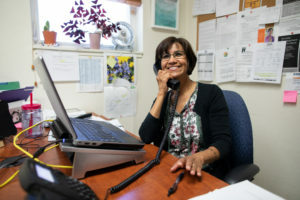 Until recently, she worked as a housing navigator at our Mary Isaak Center. Her office there was cramped, but compared to her current working conditions, it was the Taj Mahal. “I pulled up a sheet of cardboard to sit down next to one gentleman earlier this week. He was under a bush, and I wanted to be able to make eye contact,” Cecily says. She learned that the gentleman was employed fulltime but crippled by a child support obligation that had been set while he was making much more money. In order to pay, he’s been camping for more than a year. Cecily helped him get into a shelter bed and is helping him with a child support modification request. 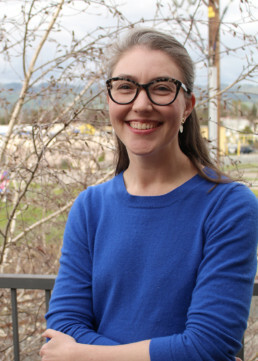 Cecily’s position is funded by the Sonoma County Community Development Commission, and she serves an area where there are many people in need of help. How many? Nick Bennett, Rohnert Park’s Environmental Coordinator, estimates that there are over 60 encampments in town—many of them along the city’s fragile water ways—along with numerous people living in vehicles. The Rohnert Park School system reports that there are over 40 homeless children in the city’s schools. After only two weeks on the job, Cecily is excited about many things: getting six people safely indoors in shelter, rehab or housing; convincing a group of campers to clean their space and bring it further back from the water (“We’ll get them inside soon,” she says); making a connection with a young pregnant woman who’s tired of living in a soggy tent behind a big box store; helping an elderly brother and sister apply for an open apartment in an affordable housing complex. “All my time at the Mary Isaak Center was well spent because I know how the system works and what the resources are,” she says. Starting this week, all the residents in our Integrity Housing and Permanent Supportive Housing programs will now have the opportunity to work with Lynea Seiberlich-Wheeler, our licensed clinical social worker and Director of COTS’ Coordinated Care program. She conducts a clinical assessment with each new client as he or she moves into housing, helping define goals, strengths and barriers. This helps our case managers identify appropriate resources and supports right off the bat. Many landlords around Petaluma work with us to end homelessness in Sonoma County by making rooms and apartments available to our clients, and we are always looking for more. 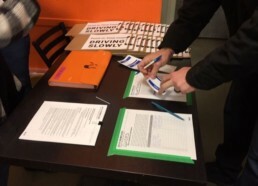 Thank you, landlords, for your support! Living in a shelter isn’t easy. Neither is high school. Put the two together, and you have a recipe for misery. Nobody could get Bruno to go to school when he and his family lived at our shelter. They recently moved into permanent housing with COTS support, and Bruno is back in class! Get ready, SATs! Nobody should have to live on ramen in order to stay housed. That’s why Mary’s Table at the Mary Isaak Center provides a free lunch to anyone in the community who needs it. We post our menus on Facebook every week day. 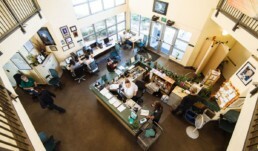 You can find us at facebook.com/ sonomacountycots. Please help us spread the word about our most delicious and healthy homeless prevention program. Warning: these posts will make you hungry! The Windsor Jazz Ensemble is putting on a benefit concert for COTS on Sunday, April 7th in Healdsburg! Join the band for an afternoon of big band jazz and swing, wine, and delicious hors d’oeuvres. There will also be a raffle featuring fabulous prizes from Mayacama Resort, Mutt Lynch Winery, the Raven Theater, Comstock Winery, Chateau Diana, artists Wendy Brayton and Bill Gittens, Manduka Yoga Mats, and many more! Tickets are $35 in advance, $40 at the door. The event will take place at 235 Healdsburg Ave (previously Cafe Lucia) from 4pm-6:30pm. For tickets and more information, please visit jazzforcots.eventbrite.com, or contact Val Pustorino at saxophonegirl426@gmail.com. All proceeds go to COTS. We hope to see you there! Are you homeless in Rohnert Park? Are you homeless and looking for housing? 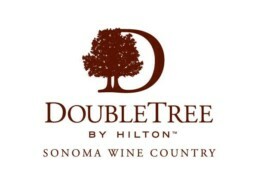 Do you live in Sonoma County? Fill out an application to see if you qualify for Rapid Re-Housing. After you submit this form, a COTS staff member will be in touch with you via email within a week. Need help? Call (707) 765-6530 (option 1) or visit the Laure Reichek Housing Hub at 575 W. College Avenue in Santa Rosa, M - F 9am - noon. If you are a landlord and are interested in partnering with us, contact our Housing Team at housing@cots.org or 707-765-6530 x 110. 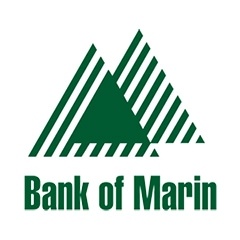 Funding for this program has been provided by the City of Rohnert Park. COTS is a service provider contracting with the city to offer this service to Rohnert Park residents and those homeless in the City of Rohnert Park. Join us for the annual COTS Hour, a fundraising breakfast benefiting homeless families, veterans and adults in Sonoma County. How many guests (including you) will be in attendance? Thank you to our COTS Hour Sponsors! One year after the October 8 fires, our community wakes up to reflection. It may be coupled with grief, perhaps anger, even frustration. Some of us may feel hopeful and grateful; others of us find ourselves lost in our memories, or perhaps finding ways to avoid them. There’s no shaking it: it’s been a hard year. It’s been physically hard, as many of us performed physical, manual labor to clean, sort, and physically care for others. And it’s been emotionally hard, as we pieced together our lives and supported our friends and neighbors to piece together theirs. 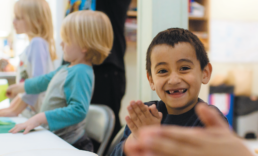 Alongside all of you, COTS and our sister agencies throughout Sonoma County, have coordinated resources, raised funds for the long haul, and established new programs to address the community’s expected need. We are slowly learning about the longer-term impacts, with 21,000 people reported to be precariously housed. Today, I am filled with gratitude for the help you’ve given that has allowed us to double down on our efforts to make this community whole. Because of you, COTS opened the Laure Reichek Housing Hub in Santa Rosa that has, since July, housed 60 individuals. We continue to provide shelter for hundreds of people who need it, and permanent housing for hundreds more families and adults confronted with desperation. More than housing, each person we engage feels heard and supported by people who care. We watch mothers’ faces relax when they step into our offices and are offered a glass of water, a snack, and practical solutions. We continue to gather strength from all of you; from your generosity, your patience with each other, and the love you share every single day. COTS remains a proud partner to our community -- today, tomorrow, and always. Thank you to everyone who came out in July to celebrate and support the opening of the Laure Reichek Housing Hub in Santa Rosa to serve families and individuals impacted by last year's fires. In our first eight weeks of operation, we’ve housed 49 people, providing them with move-in assistance and time-limited rental assistance to give them a chance to get back on their feet. Thanks to you, we’re ready to help at least 523 more people. 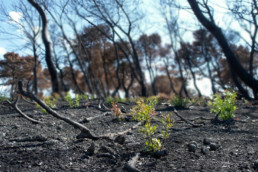 Support for this effort comes from The Tipping Point Community Emergency Relief Fund, the North Bay Fire Relief Fund, the County of Sonoma and many individuals, community groups and businesses. 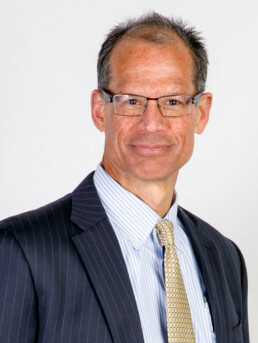 We’re pleased to announce that Chuck Fernandez will join COTS as our new CEO. 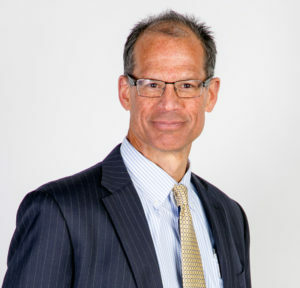 The former leader of Catholic Charities in Santa Rosa and in the East Bay, Chuck has a wealth of experience in nonprofit management and in providing compassionate, effective assistance to those experiencing homelessness. We can’t wait for you to meet him at The COTS Hour on November 13. Don’t Hurry to your House. Stop by the Hen House! We all deserve some TLC on a Monday afternoon, so mark your calendars for this Monday and swing by HenHouse Brewing Company. 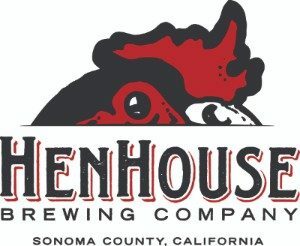 Thank you, Hen House Brewing, for your partnership on this event! What: You’ll be supporting COTS while you relax in HenHouse’s light and airy tasting room. Come ready to win big, too. 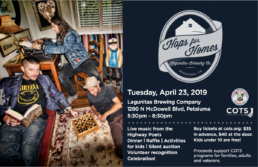 We’ll be raffling off beautiful prizes, including a one-of-a-kind quilt made by the Petaluma Quilters, an intimate tasting event at Balletto Vineyards, and a hand-crafted lamp, made by our staff member Robert Carson. Would you pay $20 for the chance to dine at Petaluma’s tastiest restaurants all year long? Here's your chance! We can’t thank the restaurant owners and Century 21 Bundesen enough for their contributions. Bundesen has always been a huge COTS supporter, but this is the firm’s largest effort for us ever. All of the proceeds from the raffle go to COTS. 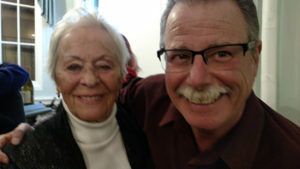 Warren and COTS co-founder Laure Reichek at the COTS 30th Birthday party. We say a tough farewell, indeed, to our colleague Warren Theuret, who has kept our many facilities in good repair for over a decade. Nothing was too small or too large a job for Warren. He pulled toy cars out of drains, demolished walls, installed solar panels, pulled weeds, re-wired whole houses, installed bathrooms, deep cleaned, de-cluttered, and delivered on every promise he ever made. His final project before retiring is the ambitious remodel of the Mary Isaak Center second floor, which will soon house the medically fragile. Special thanks to Warren for being a great colleague to his fellow staff members and an inspiration to our clients. Warren came to COTS in 2005 as a resident, and he mentored many people as they turned their lives around. Read more about Warren's story. Photo: Amy's Kitchen donates 1,000 cans of soup to COTS as part of their #NoTurkeyTalkathon in 2016. We couldn't do our work without the support of generous businesses, large and small, and foundations in our area. They are listed below. To join our growing list, please contact us at 707-765-6530 or email development@cots.org.